One of the staples of any Fall celebration or decoration is the pumpkin. We love to carve them up for Halloween fun. They make a colorful addition to table spreads, and they add a bit of festive flair to our porches. Of course, we can’t forget about the addition to our favorite pumpkin recipes. 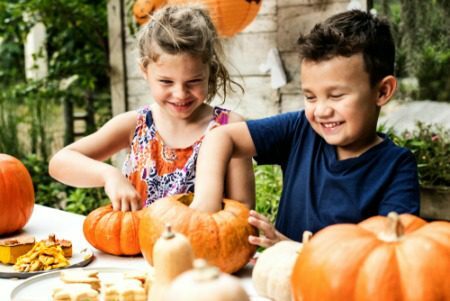 Knowing how to choose the right pumpkin from a local pumpkin patch is just as important as knowing where to find a Las Vegas pumpkin patch. Let us show you where to find the best pumpkin patches in Las Vegas, and we’ll give some helpful tips on choosing the perfect pumpkin for your needs. Happy Fall from Lori Ballen Team! You’ll also find an array of fresh fruits and vegetables that include beets, carrots, green beans, butternut squash, kale, and more. They have 60 acres of land devoted to growing fruits and vegetables that you can pick. 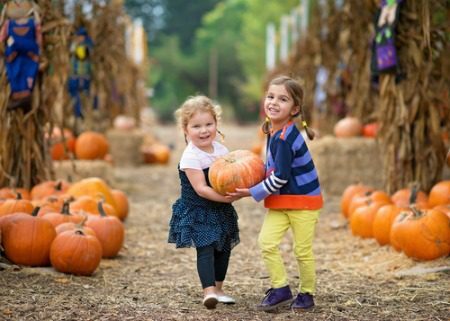 Celebrating the season for 28 years, The Farm puts on an annual Farm Fall Harvest Festival that includes rides, concessions, animals, and a pumpkin patch. Whether you’re looking for a small pumpkin or an extremely large pumpkin, you’ll find plenty to choose from here. They also have hard to find pumpkin and squash varieties. One of the staples of any Fall celebration or decoration is the pumpkin. We love to carve them up for Halloween fun. They make a colorful addition to table spreads, and they add a bit of festive flair to our porches. Of course, we can’t forget about the addition to our favorite pumpkin recipes. Knowing how to choose the right pumpkin from a local pumpkin patch is just as important as knowing where to find a Las Vegas pumpkin patch. The kind of pumpkin you’ll need depends greatly upon the purpose of the pumpkin. Choosing a carving pumpkin as one meant to add a delicious flavor to your mom’s classic pie may prove to be a disappointment. Choosing a baking pumpkin for a fun night of carving may turn out to be just as bad of an experience. 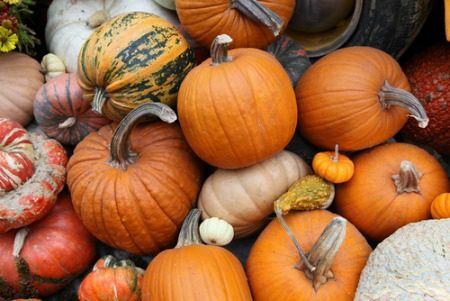 Knowing which pumpkin to choose will help you make an informed decision. Decorating with pumpkins for the Fall season is popular. Pumpkins are the perfect decorative accent because they come in a variety of colors, sizes, and shapes. Whether you choose to use them at home or in a business display, you can’t go wrong with adding a few pumpkins. If you’re looking for a pumpkin with a bright orange color, you can choose a Cinderella, Sunshine, or Turban pumpkin. If you’re looking for a more traditional orange color for your pumpkin, you can choose an Orange Magic or Jack-O-Lantern pumpkin. Looking to add something a bit different? Choose a white pumpkin such as Cotton Candy, Full Moon, or Baby Boo. This is the season for pumpkin pies, pumpkin bread, spiced muffins, pumpkin soups, and pumpkin cookies. For your favorite recipes, you can choose a Cinderella or Sugar Pie pumpkin. The flesh is sweeter and finer than a carving pumpkin, and the skin is not as thick. The flesh of these pumpkins is dryer than other choices, which makes for better uses in autumn recipes. One of the most beloved traditions of autumn or Halloween is the carving of the pumpkin. This is a wonderful tradition to do each year with your family or friends. Jack-O-Lantern pumpkins and best for carving because of their thicker skin. They hold up well during the carving process. Hollowing out the insides creates a perfect place for a candle. This type of pumpkin was created for carving. You’ll want to make sure you choose the right Jack-O-Lantern for your carving. Here are some helpful tips to get you started. 🎃 Make sure that the pumpkin sits well on a flat service. The last thing you want is for your freshly carved pumpkin to roll over once you place it down for decoration. 🎃 Choose a pumpkin that is firm and has some weight. 🎃 Do a thorough check for bad spots, mold, open spaces, and other imperfections that could indicate damage and make for a bad carving surface. 🎃 Check the stem to make sure it’s attached and sturdy. 🎃 Check to make sure the color of the pumpkin is consistent. 🎃 Make sure the pumpkin you choose is the right size for the person who will be doing the carving. A small child is not going to do well with a huge pumpkin. Choose one that is easily managed and makes sense for the person. 🎃 It’s a good idea to choose a backup pumpkin or two, just in case you make a mistake or something goes wrong with your first pumpkin. You have some basic knowledge about pumpkin uses and types, and you have some helpful tips to get you started on choosing one that is perfect for your needs. Now, it’s time to find a Las Vegas pumpkin patch where you can purchase your pumpkins! 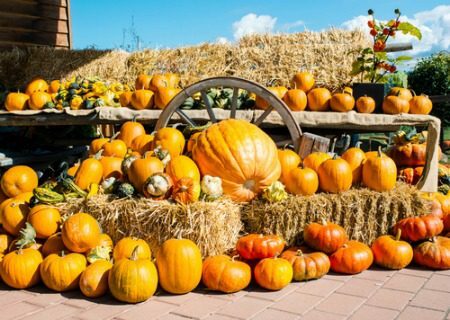 Let us show you where to find the best pumpkin patches in Las Vegas, and we'll give some helpful tips on choosing the perfect pumpkin for your needs.